Saint Augustine's Church is one of the old and beautiful Catholic churches in Philadelphia, and was the church Bruce Willis went to in M. Night Shyamalan's movie The Sixth Sense! 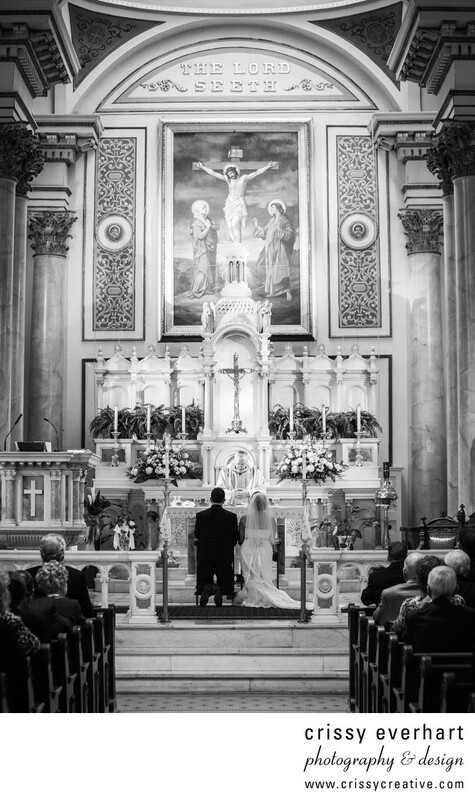 This black and white image shows the altar and it's artwork as the bride and groom kneel in prayer towards the end of the ceremony. Location: 243 N Lawrence St, Philadelphia, PA 19106.